Get inspired to eat well! This is a Non-Fiction title by Joanne Henson. Eating right today with all of our busy lives can be difficult at best. Finding excuses is easy. The author even encourages the listener to send in their excuse if it is not covered in this title. She manages to cover most of the common excuses we have. The ones most relevant to me, are the ones to do with family. This is not a how to as much as it is a motivational. There are no recipes, diet plans, or any of that nature. So if that is what you are looking for, I would suggest you look for another title. 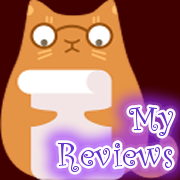 Some reviewers were disappointed because they didn’t understand what was inside this little gem. We are often our own worse enemy, and it reassuring to hear that you are not alone! 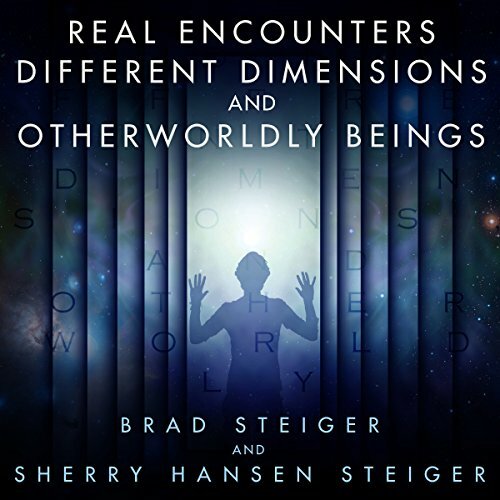 This is my 2nd read/listen by Joanne Henson. The information she presented is a balm to the soul. Joanne has 02 Audio titles. This is my 2nd listen by Petrina Kingham. Her natural accent is the spoon to the sugar to help the truth go down. Petrina has 07 Audio titles. 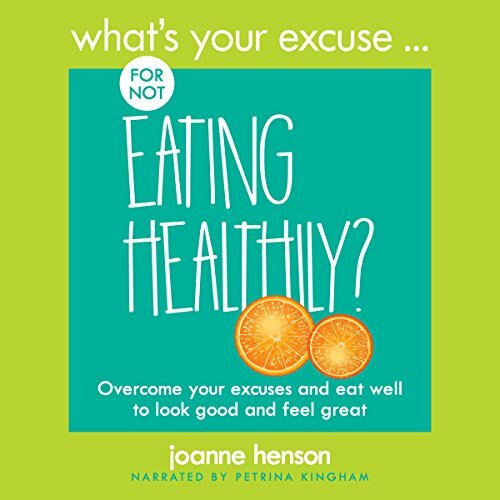 What’s Your Excuse for Not Eating Healthily? Getting fit for some of us can be hard. Finding excuses is easy. The author even encourages the listen to send in their excuse if it is not covered in this title. She manages to cover most of the common excuses we have. There were several I know I use in the lot. This is not a how to get fit book. It is more of a motivational. How to get out of your own way. We are often our own worse enemy! 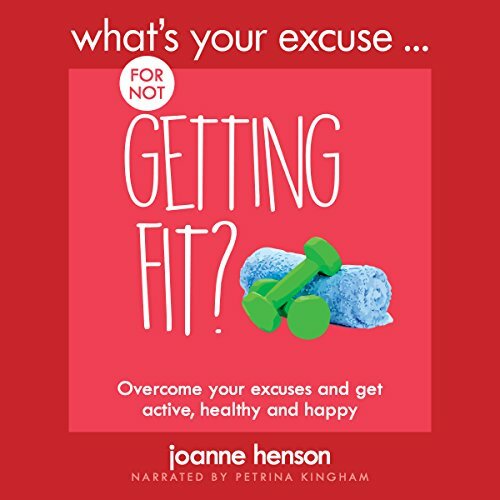 I felt called out after listening to What’s Your Excuse for Not Getting Fit?. Things should be self-evident, but denial is a devious bed fellow! I came away feeling more self-aware to my own self-sabotage and with a hope for a more fit future! This is my 1st read/listen by Joanne Henson. The information she presented is insightful. This is my 1st listen by Petrina Kingham. Her natural accent lends itself well to this UK author’s title. Petrina has 05 Audio titles. What’s Your Excuse for Not Getting Fit? What is Keto and is it right for me? This is a Non-Fiction title by David D. Kings. 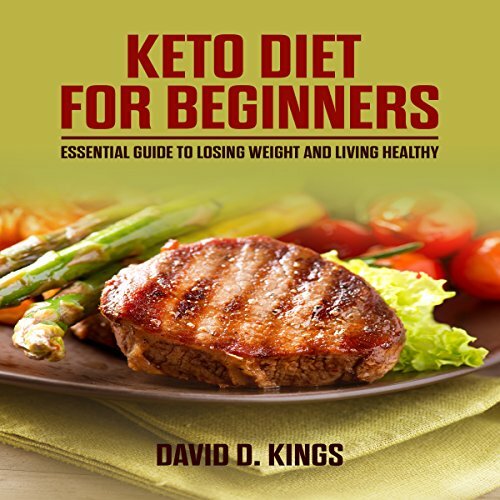 Have you ever wanted to know what the Keto diet is all about? Then this is a good introduction. I myself was fairly familiar with the concept, but I learned a lot more after listening to this title. For example: I found that I am, most likely, not a good candidate for this diet without some more research on my part. 🙁 I have low blood sugar (Glucose), not associated with diabetes, and this would be a hard diet to maintain without modifications. Mine is a special case, and for the average individual, this would not be a problem. There is a lot of information packed into this short read and I found having the ebook to refer to and make notes in a plus. It’s worth a listen if you are wanting to know about the Keto diet and if it might be a good fit for you. This diet is not going to be right for everyone. Let’s face it, if that were the case, the diet industry would be very small indeed. It does sound like a diet I would be interested in if I can make it work with my odd body chemistry! This is my 1st read/listen by David D. Kings. The information he presented in this title was informative. I appreciated the lack of fluff. It gave me an honest view of what the whole Keto thing is all about. David has 04 Audio titles. This is my 2nd listen by Harry Roger Williams III. He voices mainly Non-Fiction titles, which he is excellent at. His voice is clear and easy to understand. I would have confidence in his performance if selecting any other title in his catalog. Harry has 60 Audio titles. 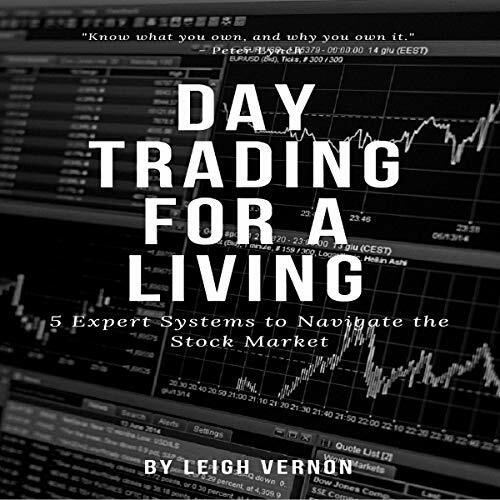 Lots of good information, you will want to get the ebook too! This is a Non-Fiction title by Alinka Rutkowska. I actually had already purchased this title in ebook format through the kindle store. It was and currently still is free. 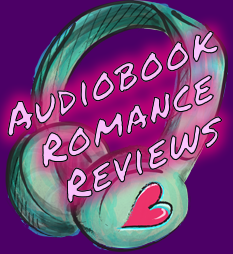 I was happy to see this come up through the AudiobookBoom program. I can now how the audio to go with my kindle edition! It’s nice to have someone read to you, but you are going to want to pick up the ebook version too for all the references, links, as well as a convenient place to make and store notes. 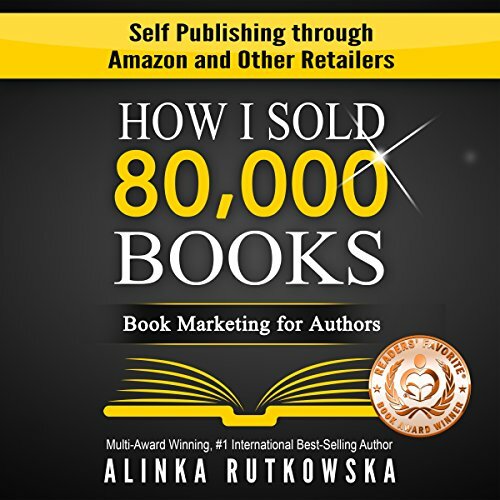 How I Sold 80,000 Books is full of information that I will definitely be putting to use when I get the courage to publish my own stories! The meat and potatoes of this book focus on what the author refers to as ‘the four Ps’, Product, Place, Price and Promotion. Each ‘P’ is covered in detail as well as speaking of how they can and often do overlap. There is sound advice and incites to be learned from this title for sure. I don’t know how many books you will sale after you listen or read this title, but you will have a better understanding of what more you could be doing to help with your bottom line. This is my 1st read/listen by Alinka Rutkowska. This is her only audio title, but what a good one. She writes this non-fiction title in a somewhat informal manner as if she is speaking directly to you. It makes you feel as if she is giving you advice as opposed to teaching a class. Alinka has 01 titles listed on Audible. This is my 1st listen by Nikki Delgado. She has an accent, which I like, but can be a turn-off to others. She completly captures the author’s informal style. The production speed seemed a bit too fast to me, but an edit to 0.90 in Audible’s handy narration speed tool fixed it right up. Nikki has 03 titles listed on Audible. It’s a great introduction to habits, and suggestions on how to break them. This title is more of an introduction than it is a full length in-depth instructions. Its short and to the point with little fluff, so worth it if you want the basics. I give it props for pointing out the difference between what is a habit and what might be a more complex condition that one might need to seek professional help for. John S. Lawson is new to the market, with only a handful of titles to his name and all of which published this year. This title was a good collection of information so I would be interested in his other titles. 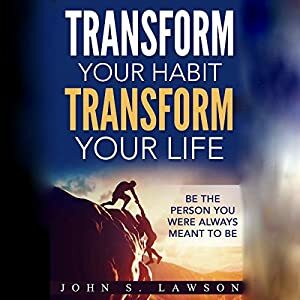 John has 03 titles listed on Audible. Harry Roger Williams III does excellent narration for this Non-Fiction title. He speak very clearly and with authority of subject. I would of thought him the writer. Harry has 59 titles listed on Audible. All of which are Non-Fiction. A lot of tidbit you won’t see on TV! If you download the ebook, which is free for Kindle Unlimited members, it has a note that states that the book is constantly updated, so the audio and print may not match up. The audio does not cover the last 13 episodes of the series which are being split into two seasons. The first half just concluded and the second half will play out next year. The audio covers all that has happened so far in both the books and the television show. (see note above) The TV show is ahead time-line wise of the books, as Mr. Martin has deadline issues. There are still 2 more books due in the series. 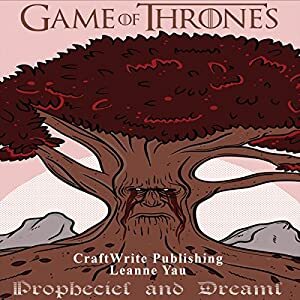 This is a review of the various prophecies and dreams within the world of The Game Of Thrones as well as the books the show is based on. Many of these are not covered on the show as there is just not enough time to cover it all. The show-runners for GOT have expressed their desire to try and stay close to the over-all themes and stories from the books, so the unseen foreshadowing from the book should still hold true for the show as it does in the books. There are some specific visions shown to Daney that I find most curious! Plus the most delectable one told to Cerci having to do with her being murdered by her younger brother! In her arrogance she has seemed to have forgotten that Jamie is actually her younger brother too! Even though I knew this already, I still like hearing about her demise because I really hate her. Leanne Yau presents the information in a clear and precise manner. She is very easy to understand as well as being pleasant to listen to. I give this a 5 for what it is, but also want to put a warning out there for those that are just starting the series either in print or TV, there will be spoilers. Good info for catching up on things! The audio does not cover the last episodes of the series which are being split into two seasons. The first half just concluded and the second half will play out next year. 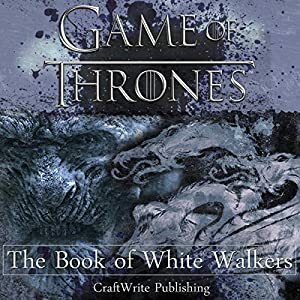 The audio covers all that has happened with the White Walkers so far in both the books and the television show. The TV show is ahead time-line wise of the books, as Mr. Martin has deadline issues. There are still 2 more books due in the series. This is a good catch up on things you may of missed so far as well as a nice refresher for before the season of the show starts. It also covers some theories and speculations, that as a fan, you know you have. Leanne Yau does an excellent job of narrating this Non-Fiction read about a Fiction series. She presents the information in a clear and precise manner.